A centre of excellence where we produce, condition and cure high quality cheeses and meat products. From the Lessinia plateau in Valpolicella, Corrado Benedetti continues to innovate while retaining the legacy of its origins: a centre of excellence where we produce, condition and cure high quality cheeses and meat products and make preserves and other traditional gastronomic delicacies. Like the two that came before, the new generation works with a fundamental mission: to provide consumers of our products with a superior gastronomic experience through excellent artisan specialities created with know-how and innovation. Over time, we have become the artisans of deliciousness because we know how to keep faith with artisan production methods and we always prioritise the goodness and authenticity of our products and our links with the land. 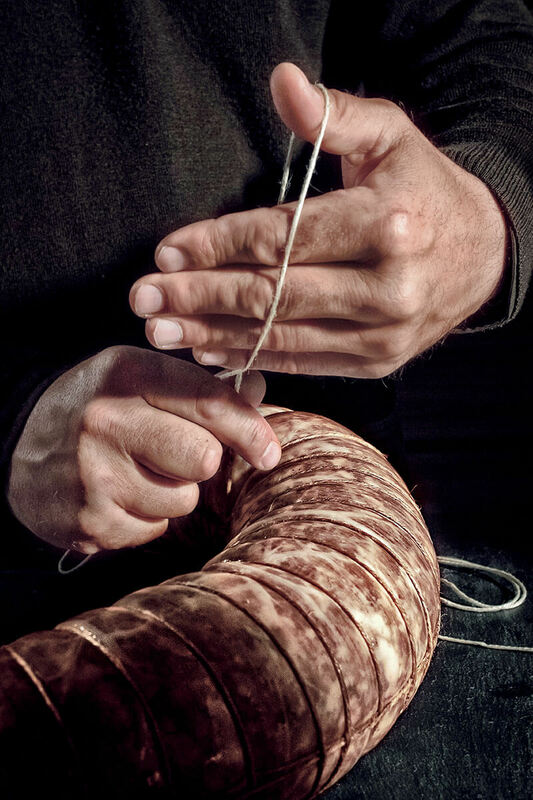 This is why Corrado Benedetti is a place where you’ll find flavour that’s true to its origins and to traditional ways. Every product that comes out of our curing processes is a unique item, a true work of art. The products you’ll find at Benedetti are made from meats and milk selected from the very best farmers and skilfully processed by our staff. For us, technology is only valuable if it’s in the service of the tradition we draw on when we create our products. Every age-old recipe is handed down and improved by the next generation, but never distorted. Today we continue to look to the future to interpret flavours, but without ever forgetting our traditions. For the consumer who chooses our products, whom we’re determined not to disappoint. For our team, who combine experience with youthful energy. And for our products, which demand care, attention and a respect for the time and seasons that make them what they are. Our standards are high, our production chains are short and our quality control is rigorous; we use modern machinery and infrastructure to support the authenticity of the traditional recipes that underlie everything.